It absolutely poured down at this event. But Tom Jones was brilliant. I didn't like our seats. We couldn't see him and had to rely on the screens. But the atmosphere made up for that. The support acts were a little disappointing but they had a lot to live up to! "It might of rained ! Tom jones was amazing ruled the waves"
Good sound. Great proformance from Sir Tim. Venue prices expensive. "Fantastic night even in the rain"
With a career spanning over 50 years and a voice as powerful now as it was when he started out, Tom Jones is one of the few British artists who can legitimately claim to be a music legend. There’s barely a genre that he hasn’t touched, from blues and soul to pop and rap music, and his role as a judge on BBC1’s The Voice has helped him find a new generation of fans. This summer, 'Jones the Voice' will be wowing audiences at stadiums and festival across the country, and you can get Tom Jones tickets right here, at Gigantic. The Welsh wonder has just announced his tour for 2019. Make sure you see him make very special performances at Gloucester Country Cricket Club at Bristol, Colchester Castle and Slessor Gardens in Dundee during July. With word spreading fast, it makes sense to set yourself ahead. We recommend that you set a personal reminder with Gigantic which means we will alert you with a text message or an email just prior to their release at 09:00 on Friday 25th of July. Believe it or not, Jones’ career kicked off in 1964 with ‘Chills and Fever’. While it barely troubled the charts, there can’t be any music fan who hasn’t heard (and can’t sing along to) the follow-up, ‘It’s Not Unusual’. This single rocketed him to international success and quickly established him as a major player on the music scene. Hits followed in rapid succession and regular viewers of The Voice will be familiar with Sir Tom’s oft-told tale of the day Elvis sang his smash-hit, ‘Delilah’, back to him. Most of Sir Tom’s contemporaries fell by the wayside during the synth-pop of the 1980s, pushed aside by the New Romantics. Rather than roll over, Sir Tom reinvented himself and scored a number of hits, aligning himself with bands, including The Art of Noise. Similarly, the Nineties saw his hurricane howl beefing up duets with a number of that decade’s stars, including The Stereophonics, EMF and Robbie Williams. While he might be in his seventies, Tom still knows how to whip up a crowd. In his time, he’s headlined at some of the UK’s major music festivals, including a runaway success at Glastonbury. Go to a Tom Jones concert and you’ll be treated to songs from virtually every decade of his career, from the early hip-swingers to the bold and brassy hits of his later works. More recently, Sir Tom’s been going back to his roots and exploring the blues and gospel artists that originally inspired him. His albums, ‘Praise and Blame’ and ‘Spirit in the Room’ have each allowed him to showcase his astonishing vocal range in a different light, trading in the trademark soulful wail for a more gravelly, understated approach. However, see him live and he’ll pull out all the stops! As everyone is after Tom Jones concert tickets you do need to book early or you will miss out. Gigantic offers excellent customer service when selecting from a vast list of essential gig tickets so always come to us and enjoy an unforgettable experience. 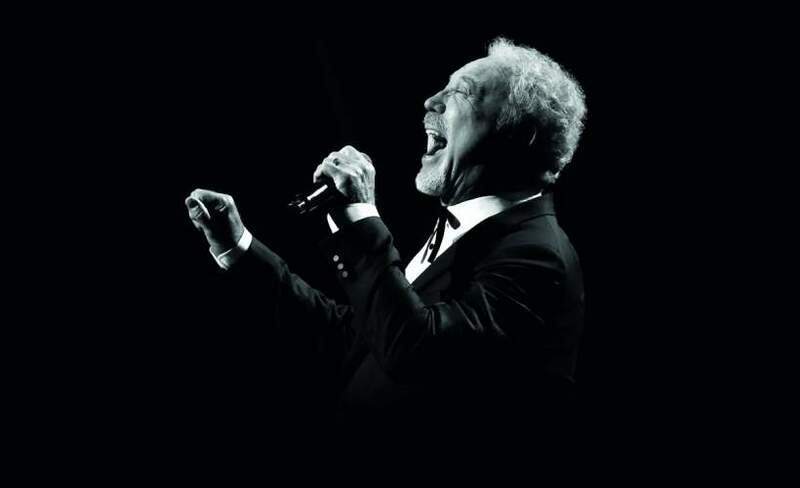 Get tickets for Tom Jones with Gigantic! Gigantic has tickets for Tom Jones!